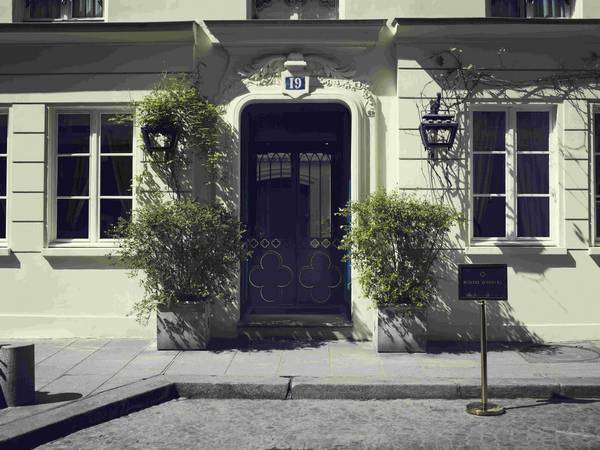 The hotel Bourg Tibourg**** is located in one of the most picturesque streets of the medieval Marais. It is a few steps from the Place des Vosges, the museums Picasso and Carnavalet, Centre Pompidou and Notre-Dame. The patio is a feast for the senses. The balconies of the 5th floor offer a majestic view over the rooftops of the old neighborhood of Paris. The rooms are spacious, decorated in soft colours and very well-equipped : luxurious bathroom, Tv with flat screen, air conditioning, Wifi, mini bar and safe deposit box. Also book your place in the nearest parking from the hotel and take advantage of the preferential rates exclusively through our website!